If you want to become a Bobcat or Cat heavy equipment operator, you will have to undergo the necessary training. Only when you successfully complete Bobcat training will you start being considered for heavy equipment operator jobs. The most important thing is choosing the right Bobcat or Cat heavy equipment operator training program and school. Whether you are reckoned for such jobs in the future would depend on the quality of the training program you completed as well as the school you went to. To begin with, you should look for a training school that offers fully licensed training programs. Even if it costs you a little more than other schools, you shouldn’t even think about looking elsewhere. If this is going to be your first look into the Heavy Excavating Industry, it is very important for you to come to terms with how things work here. There is no point in joining a program just to add another skill to your resume. You need to know all those things that will make you eligible for the best of heavy equipment operator jobs in the country. Look for a training school that has helped many students graduate over the years. The best schools will have their students employed in some of the top companies in the industry. 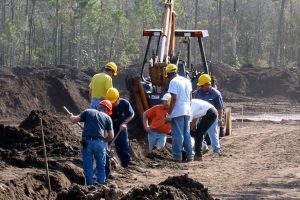 With a heavy equipment training program, you will learn to safely operate excavators, bulldozers, backhoes, and articulating loaders amongst other heavy machinery.